Waterfront, updated 2,305 SF ranch will be great for any owner. 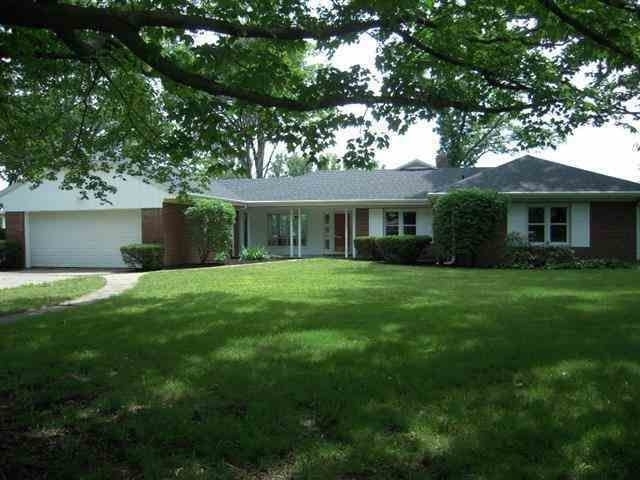 3 Bedroom/2.5 Baths(Master Suite) overlooking the St. Joseph River. Recent updates include river access/stairs, greenhouse, gardens, finished garage, new brick trimmed driveway, brick trimmed walkway, newer furnace, newer Kitchen countertops & appliances, attic insulatiion. Hardwood floors & carpeting. Some newer windows. Formal Living room, Dining Room, newer Kitchen W/Breakfast Nook, Pantry, & ML Laundry w/washer/dryer. Unfinished Basement. Large, fenced rear yard overlooking the river. Quiet neighborhood near EGH, clinic, pharmacy, & grocery. Charming home, fairly priced, that you have been seeking! Directions:LEXINGTON TO MEISNER, SOUTH TO RAINBOW BEND, RIGHT ONTO RAINBOW BEND.